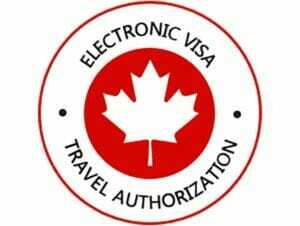 An eTA (electronic travel authorisation) for Canada is a requirement if you are planning to fly from New York to Canada. In addition, if you are flying through Canada to another destination, you’ll also need an eTA. Are you planning on travelling to Canada over land or water, or do you have a Canadian visa? Then there’s no need to apply for an eTA New York to Canada. How do I apply for an eTA New York to Canada? You can easily apply for your eTA through the official website of the Canadian government. It costs $7 CAD. In order to apply you will need a valid passport, a credit card and an email address. The online application forms are only available in English and French. On the website, a PDF file with instructions in several other language is available. Most applications will be approved within minutes. There’s no need to bring a digital copy or printout of your eTA, but I do recommend printing a copy. Take a look at the official website of the Canadian government for more information about the eTA. When you apply for eTA via the official site, you can only pay by credit card or Paypal, which can be an issue for some. If you don’t have a credit card and want to pay with your debit card you can use a website that will do the application for you. There are however additional service fees charged in this process. Apply for an eTA application with E-visums.co.uk. If you’re planning on taking a day trip from New York to Canada, there’s no need to apply for an eTA. From New York, you can reach Niagara Falls by bus or plane. If you’re travelling by bus, you’re travelling by land, so an eTA is not required. If you’re travelling by plane, you’ll land on the American side of the border and cross by bus. In that case, again, there’s no need to apply for an eTA.